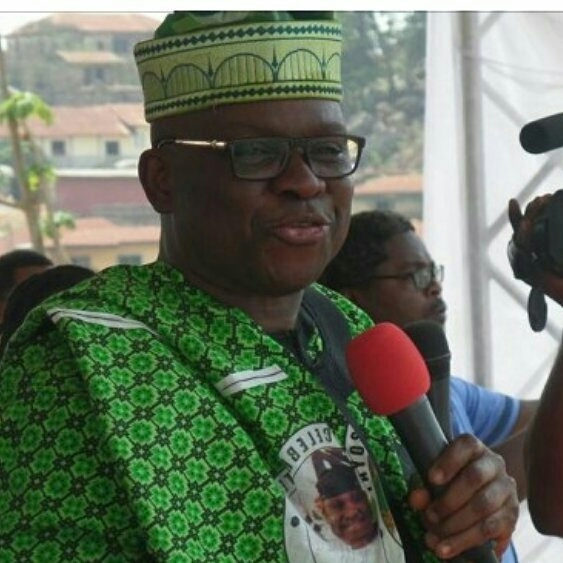 Ayodele Fayose, governor of Ekiti state, says he has what it takes to wrestle power from President Muhammadu Buhari. Speaking during a meeting with political office holders at government’s house, Ado Ekiti, Fayose described himself as a man of the people. He also took a swipe at Segun Oni and Kayode Fayemi, former governors of the state, who are believed to be nursing the idea of contesting the 2018 governorship election in the state. 0 Comment to ""I’m going straight to that villa. I’m the next president"- Gov. Fayose"